Mosaic Natural soy wax candles are hand-poured into each individual mosaic holder. 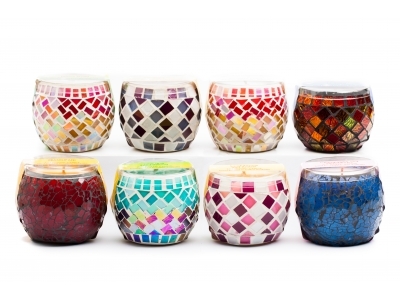 We have a stylish and colourful range of mosaic holders available. 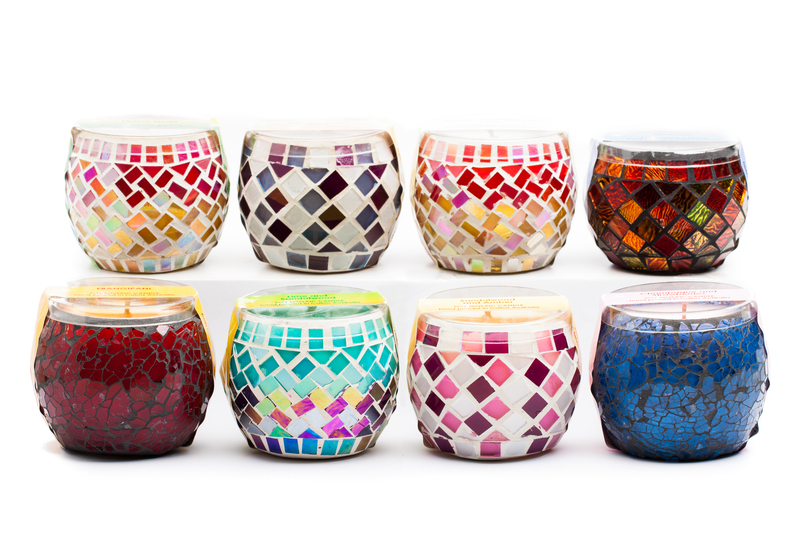 These wonderful mosaic candles will add beauty and amazing fragrance to any room whether burning or not. Tip: in a larger room you may need more than one mosaic candle to disperse the scent evenly across room space.